This might be old practice, but maybe still worth mentioning and explaining? 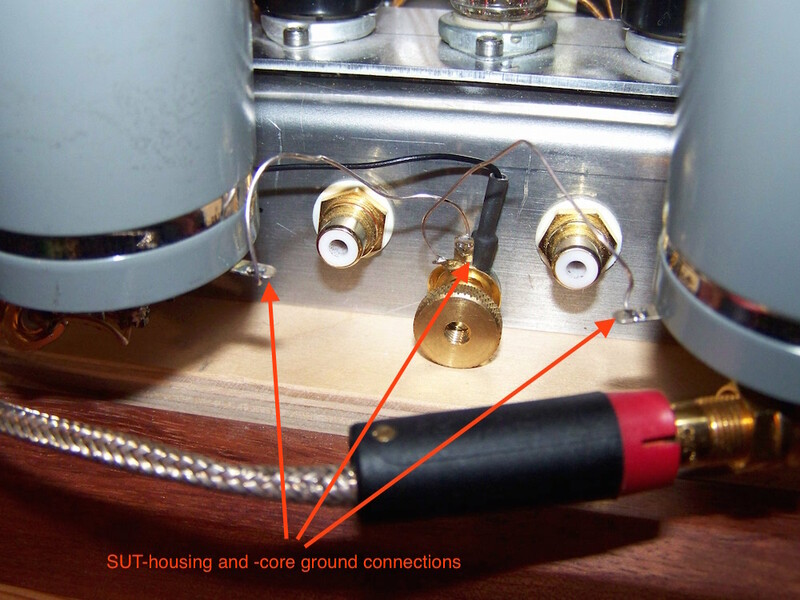 If you are playing vinyl using a MC-cartridge, changes are you are using a step-up transformer (SUT) as well. Significant better soundquality can be obtained when a floating primary is used. What does that mean? 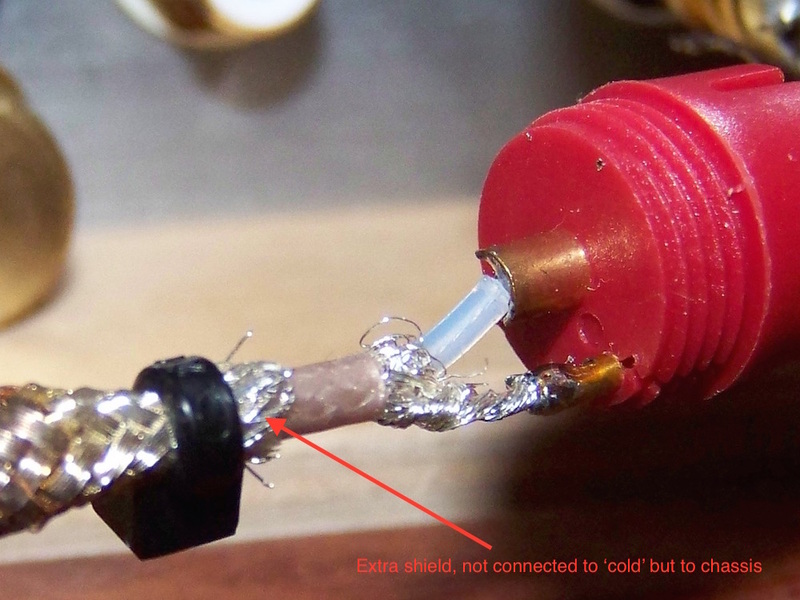 Well, if the cold side of your cartridges is not directly connected to the tonearm, it is possible to add extra shielding to the cable and make it balanced. Balancing signal transfer will filter out noise, certainly at this low signal level. As said before, this will filter out noise. 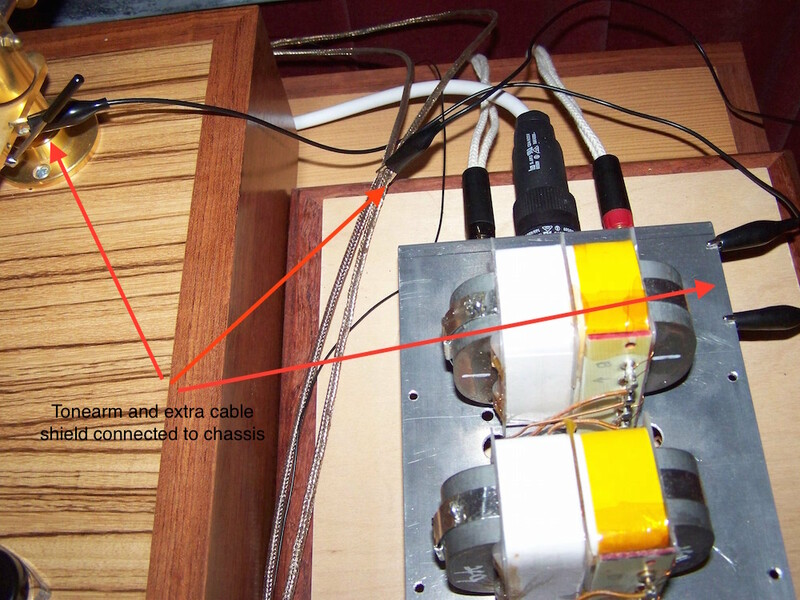 However be sure to wire it up correctly otherwise you will end up with hum. You do not want hum. Filtering out noise equals better soundquality because the tiniest musical informational bits will now become audible instead of drowning in the noise. It means some hassle to get it going, but is certainly worth the effort. Below you can see some pictures of my set-up, or better, my struggle to get it hum-free. 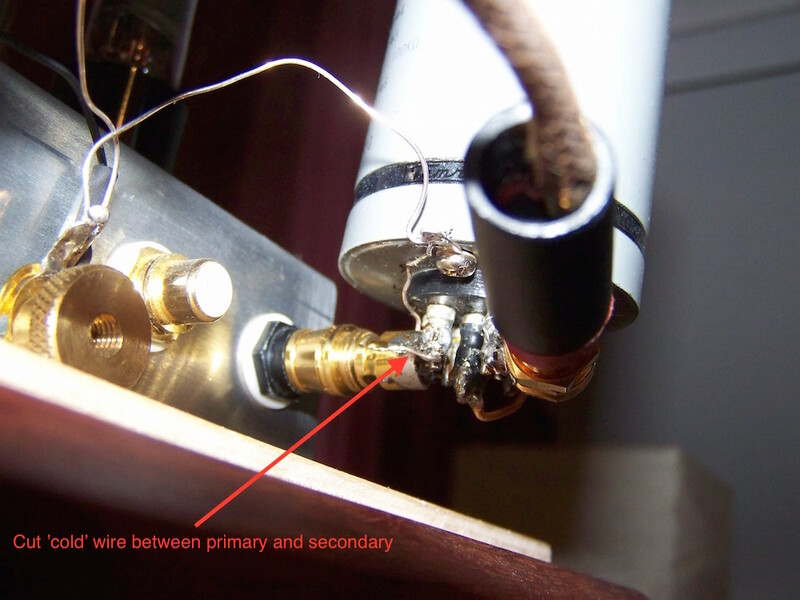 Overview of connections from tonearm and extra shielding to the amplifiers' chassis. The SUT's cut cold wire between primary and secondary. Grounding the SUT housing and core.